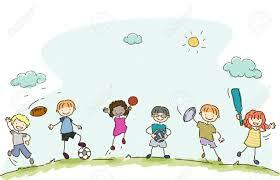 Choosing the Right Sport for Your Child - Energetic Juniors - Contact Us! Many people assume that because their child is not good at organized sports, they are not athletic. This is a common misconception. Many children are very athletic, but simply haven’t found a good outlet for their physical energies. This is why it is important to consider a wide variety of sports as options for your child. We typically think of activities like football, soccer, and tennis when looking at youth sports. However, there is a whole range of other sport options you may not be aware of—activities such as rock climbing, badminton, wakeboarding, archery, and disc golf. It can be helpful to think of sports in terms of personalities. There are endless personalities, and there are sports that fit every child’s personality. The picture is more complicated now than it was at first. You may be wondering how to choose a sport when there are so many options available. This is where a personal trainer or coach can be especially helpful. A trained eye can work with your child, ask questions, offer a variety of physical activities, and ultimately determine what might be a good athletic option for your child. One of Energetic Juniors specialties is in sports training. Our goal is to help each child find the athlete within. For those who find sports intimidating, we create fun and challenging physical activities that serve as an alternative to sports. We also identify how much your child is getting out of a particular sport and if it’s a good fit. We encourage their participation in a variety of physical activities to help them discover their natural interests and inclinations. Whether your child is experienced or just starting out, our sports coaching will help them move to the next level.